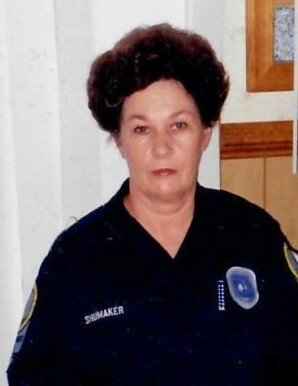 Dorothy Woodfin Shumaker, 70, of Dillwyn passed away on Thursday, January 17, 2019. Dorothy was born March 13, 1948, the daughter of the late Ray and Sarah Woodfin. In addition to her parents, she was preceded in death by her husband, Bernard Douglas Shumaker and daughter, Kimberly Shumaker. She is also preceded in death by her brother, William Woodfin and sister, Peggy Woodfin Scott. Dorothy is survived by her sons, Allen, Raymond, Bradley, and Kevin Shumaker, her sister, Judy Houchin, and her brother Bernard Woodfin. In addition, she is survived by 5 grandchildren and 1 great grandchild. In honor of Dorothy’s wishes, no services will be held.